Vader and his crew help keep your pad stylish! 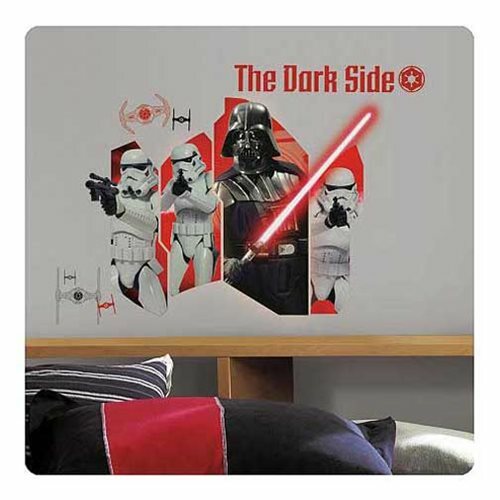 This Star Wars Darth Vader Giant Wall Decal features the Dark Lord of the Sith wielding his lightsaber and flanked by his Stormtrooper bodyguards. Complete with some extra wall graphics of TIE Fighters along with Vader's TIE Fighter and the words, "The Dark Side," this great piece of art belongs on the wall of any true Star Wars fan! Measures 32-inches wide x 23 1/4-inches tall.